The popular Pat-a-Lamb spring event at Mount Ephraim Gardens returns over the Bank Holiday weekend. Alongside, Joe’s Bows will be putting on archery events, Birds of Prey displays, and you can relax and enjoy refreshments in the refurbished tea-rooms; there will also be a children’s trail. Visitors can see the first touches of spring bringing renewed life to the Edwardian gardens as the gardens are transformed by seasonal blossom. The event runs on Sunday 1 and Monday 2 April, and children 3 years and under can go for free. Admission prices and more details online here. 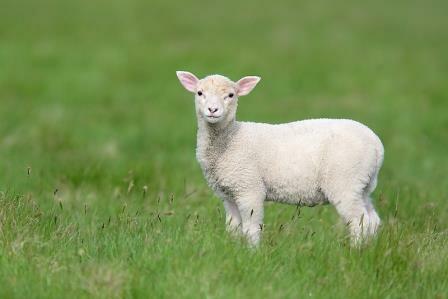 This Bank Holiday weekend, Mount Ephraim Gardens will be hosting its annual Pat-a-Lamb event. Pat-a-Lamb Day has been entertaining young families for 27 years and this year includes a Farmers’ Market as an added attraction. Children can also enjoy special readings of Grimm’s Brothers tales read by the creator of The Pantaloons who regularly perform Shakespeare and Dickens plays in the gardens. Spring is an ideal time to enjoy the beauty of Mount Ephraim Gardens with the glorious blossom in full bloom throughout the gardens and in particular in the magnificent arboretum. The farm’s orchards should also be in bloom for the Bank Holiday. Visitors can also enjoy the ten acres of Edwardian gardens including the Japanese rock garden, water garden, lake and the grass maze ideal for picnics and with a play area for children. The gardens also boast the Woodrose Tea Rooms overlooking the stunning topiary and herbaceous border. Pat-a-Lamb Day is open from 11am until 5pm on Sunday 5 and Monday 6 May; entry is £6 for adults and £2.50 for children. For more information please visit Mount Ephraim’s website here or call 01227 751496.